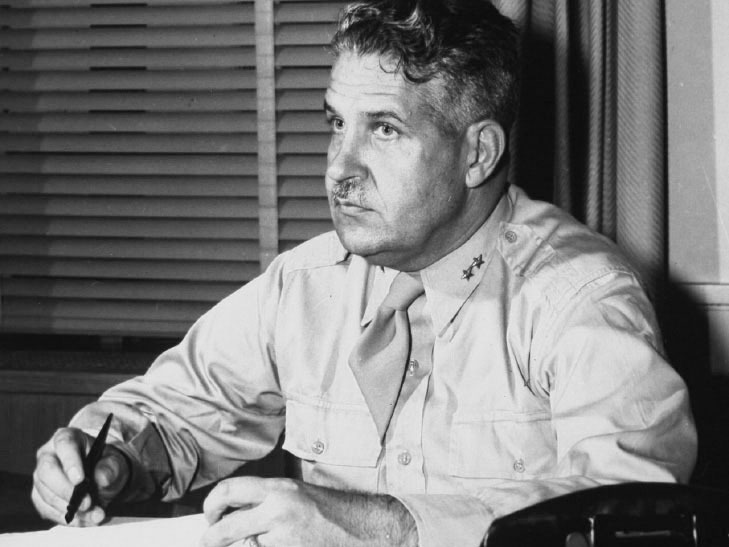 Lieutenant General Leslie Groves (1896-1970) was a United States Army Corps of Engineers officer and director of the Manhattan Project. 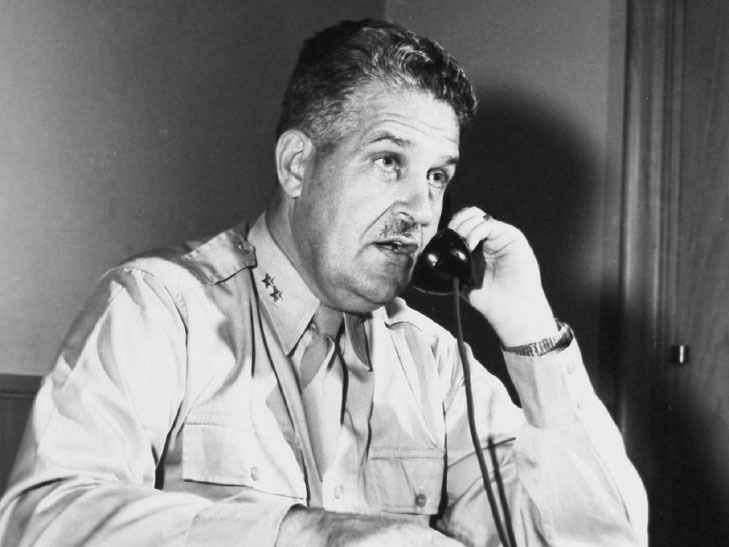 In September 1942, Groves was appointed to head the Manhattan Project with the rank of Temporary Brigadier General. 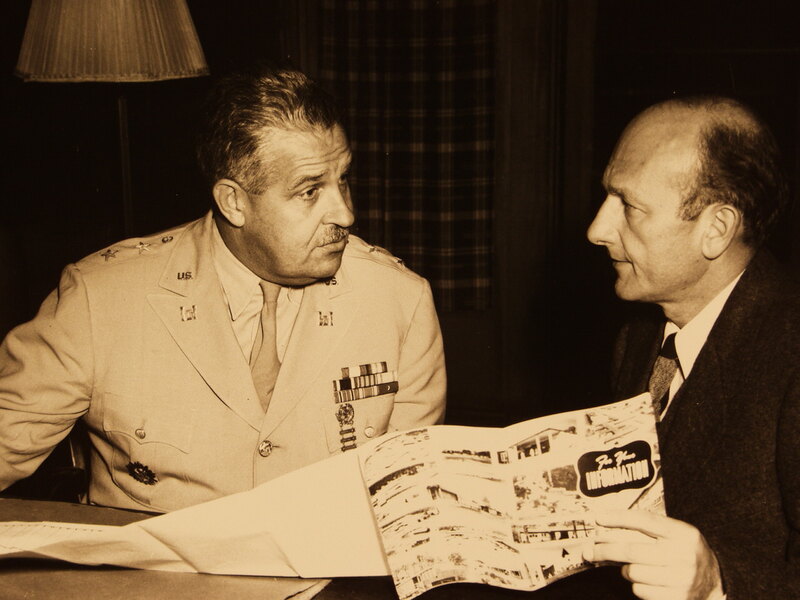 As project leader, he was in charge of all of the project's phases, including scientific, technical and process development; construction; production; security and military intelligence of enemy activities; and planning for use of the bomb. Under General Groves' direction, atomic research was conducted at Columbia University and the University of Chicago. 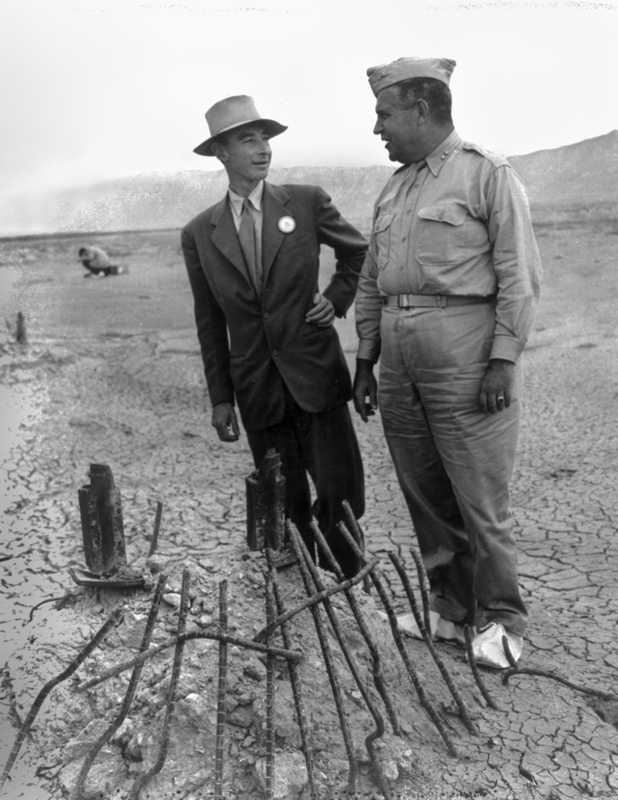 The main project sites were built at Los Alamos, Oak Ridge, and Hanford. He personally selected J. Robert Oppenheimer as leader of the Los Alamos laboratory, disregarding the latter man's Communist associations and waiving his security clearance process. Groves was known for his critical and stubborn attitude, egotism, intelligence, and drive to achieve his goals at all costs. He continued to lead the project until 1947, when atomic energy affairs were turned over to the newly created civilian Atomic Energy Commission. Colonel Kenneth D. Nichols, district engineer of the Manhattan Engineer District, wrote of Groves: "First, General Groves is the biggest S.O.B. I have ever worked for. He is most demanding. He is most critical. He is always a driver, never a praiser. He is abrasive and sarcastic. He disregards all normal organizational channels. He is extremely intelligent. He has the guts to make timely, difficult decisions. He is the most egotistical man I know. He knows he is right and so sticks by his decision. 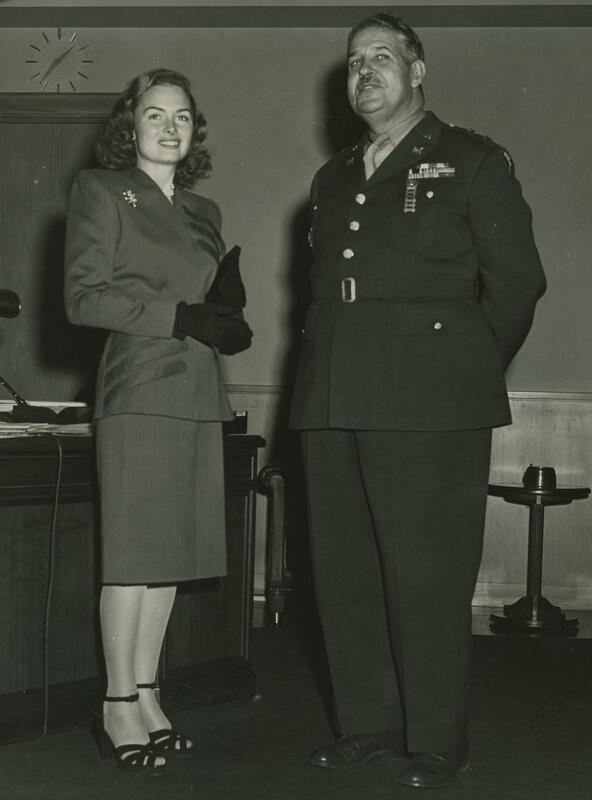 He abounds with energy and expects everyone to work as hard, or even harder, than he does... if I had to do my part of the atomic bomb project over again and had the privilege of picking my boss, I would pick General Groves." 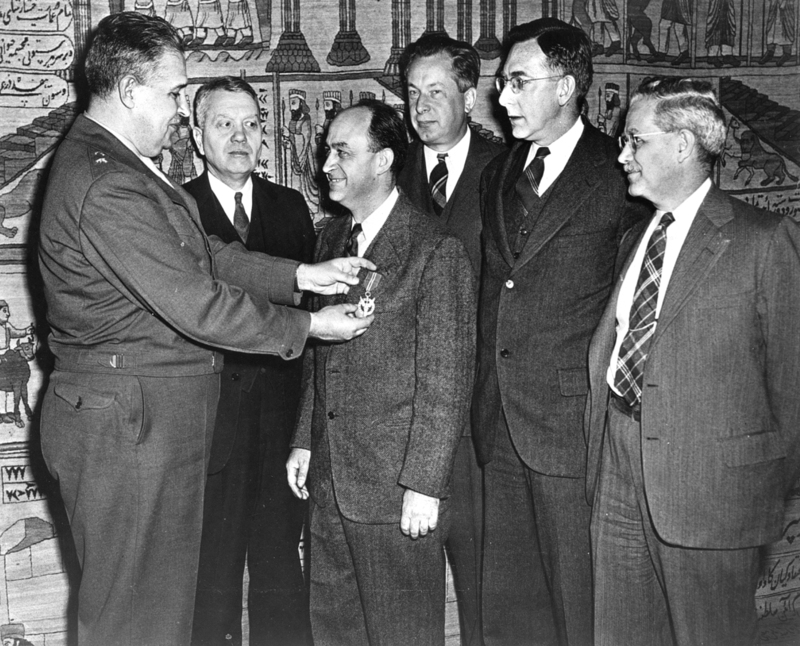 Groves' biographer, Robert S. Norris, dubbed Groves "The Manhattan Project's Indispensable Man." Leslie Groves was born in Albany, New York on August 17, 1896. 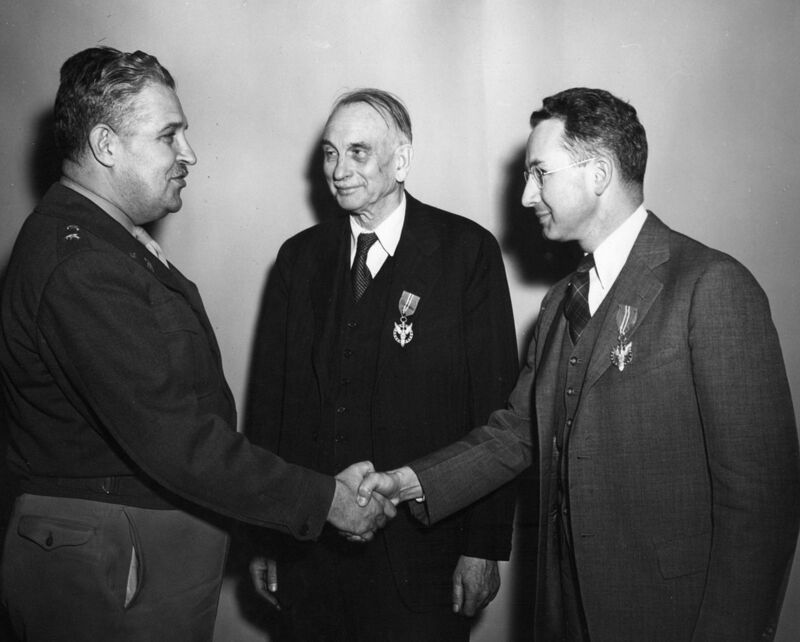 A graduate of West Point, Groves entered the Army Corps of Engineers in 1918 and was promoted several times before being named deputy to the Chief of Construction in 1940. The projects included the building of camps, depots, air bases, munitions plants, hospitals, airplane plants, and the massive Pentagon, which he completed building in less than a year and a half. 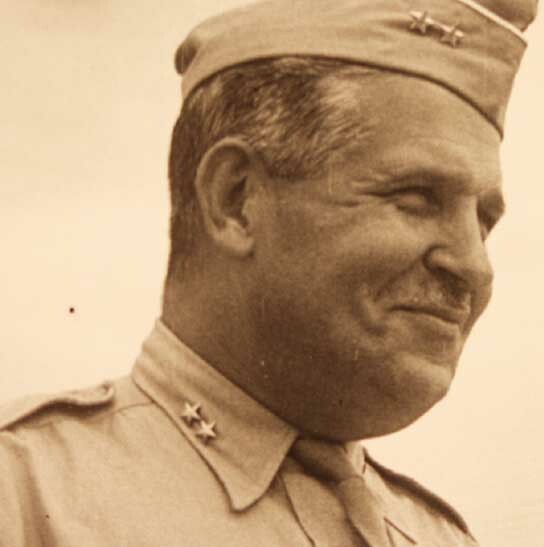 Groves oversaw a million men and spent $8 billion on Army construction with a peak month in July 1942 of $720 million, the equivalent of fifteen Pentagons. 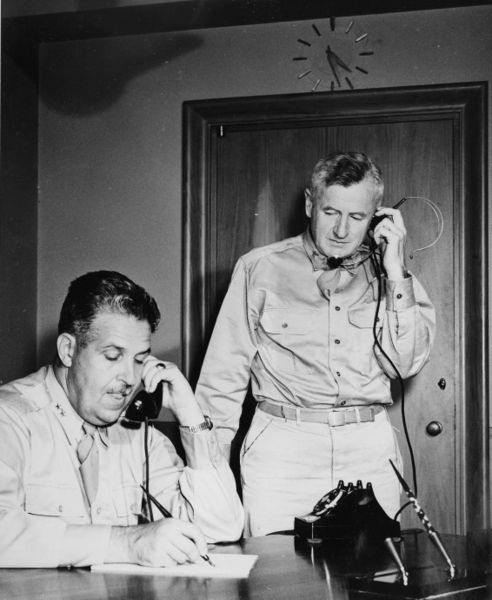 Groves' proven record of managing complex undertakings made him a logical choice to lead the Manhattan Project. 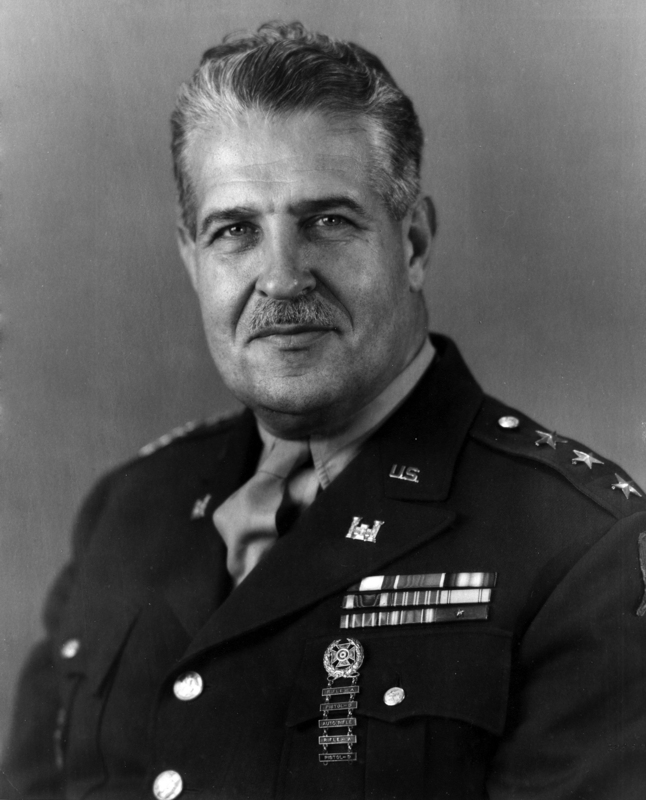 Groves was promoted to Temporary Lieutenant General in January 1948 and retired a month later on February 29. From 1948 to 1961, he was vice president of the Sperry Rand Corporation. He also served as president of the West Point alumni association. Groves died in Washington, DC on July 13, 1970. 1896 Aug 17th Born in Albany, New York. 1918 Graduated 4th in his class from West Point. 1922 Feb 10th Married Grace Wilson. 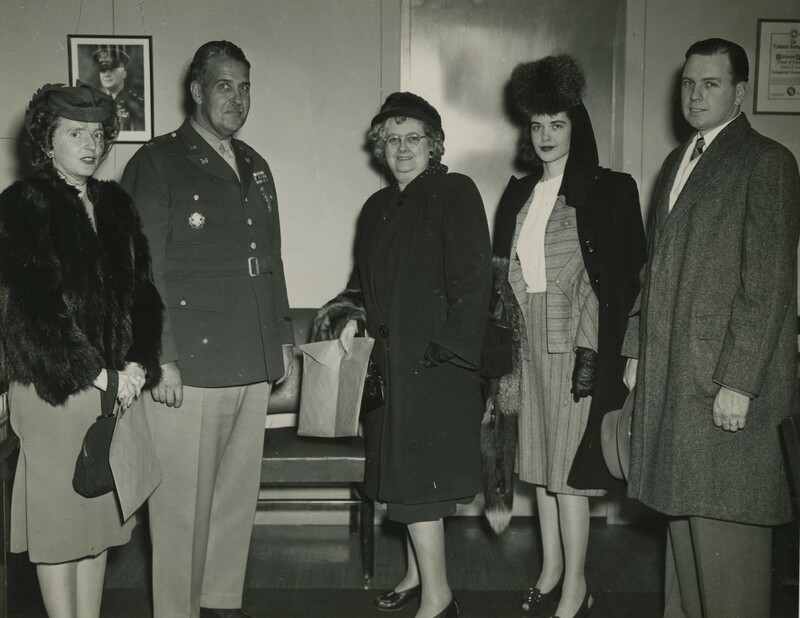 General Groves with Patricia Cox Owen and her husband Claude. Photo courtesy of the Patricia Cox Owen Collection. Donna Reed and Leslie Groves. Photo courtesy of the Patricia Cox Owen Collection. 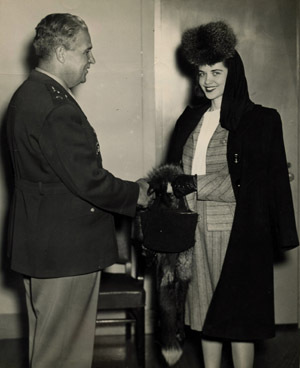 Patty Cox Owen and General Groves. 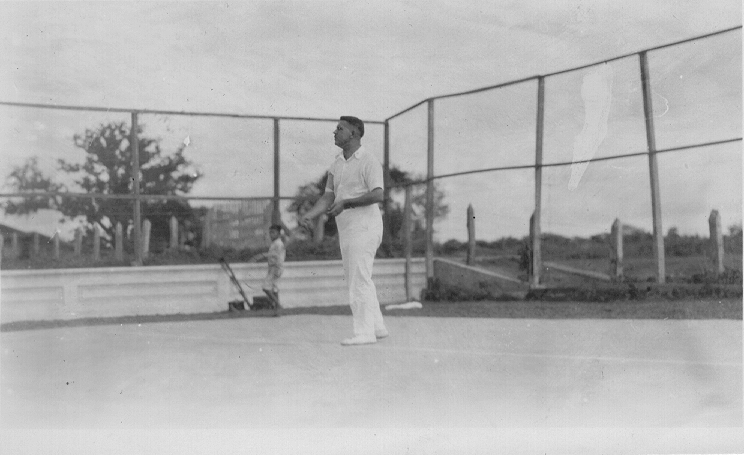 Photo courtesy of the Patricia Cox Owen Collection.